Cacti, whether real, faux or as a print are still going strong - as evidenced by the number of views I'm getting on my patchwork cactus sewing tutorial. 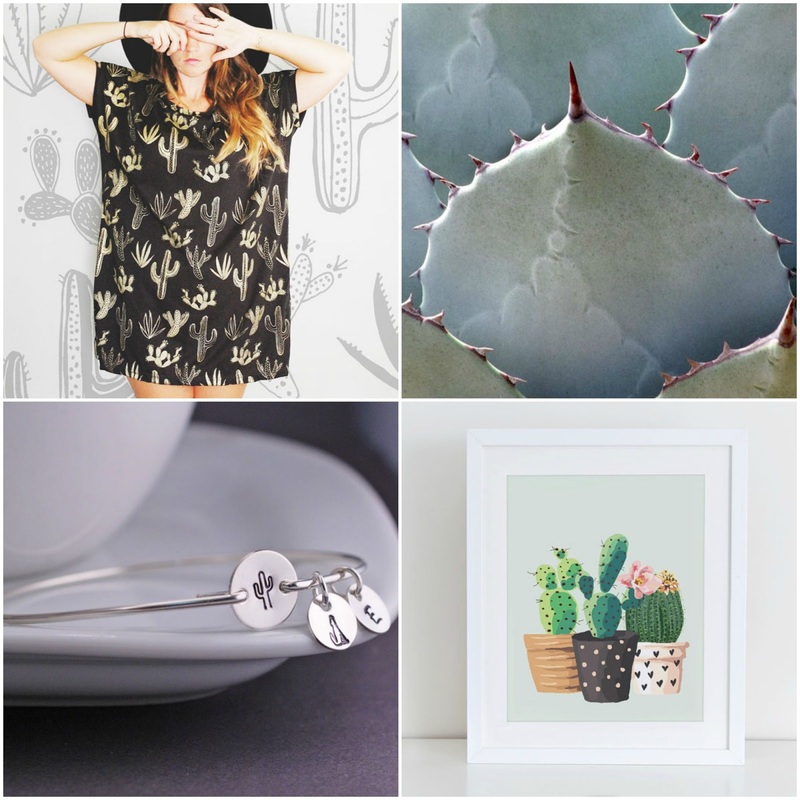 Today's moodboard is all about these fun succulents! Kakteen sind nach wie vor Trend, gerne als gedrucktes Muster oder als witzige Deko, wie z.B. diese Patchwork Version. In der heutigen Collage dreht sich alles um diese interessanten Sukkulenten! eine wunderbare Inspiration für die neue Woche. Ich finde auch das Bild unten rechts ganz süß. I love the cacti top (also lots of other cute things in that shop)! I often see cool pieces of clothing online, but I am a bit hesitant when it comes to international clothes shopping. I am afraid items don't fit and I need to send it back, and shipping international can be such a hassle over here! Lovely finds, love the cactus painting! ich bin wieder mal spät heute ....Herrlich, die Kakteen! Vor allem das Shirt gefällt mir super gut! Those are cute cactus findings! We don't see many cactus around here! I especially love the cactus dress and print, all adorable! Cacti is so neat! I would love to visit the southwest someday to enjoy the succulents in their natural habitat. That photo is gorgeous. Ich drück dich ganz lieb und hoffe dir geht es gut! Beautiful! I love that top, so pretty. We visited a great conservatory yesterday and took way too many cactus photos! It's always fun to see which trends stick around and which ones dissapear quietly.